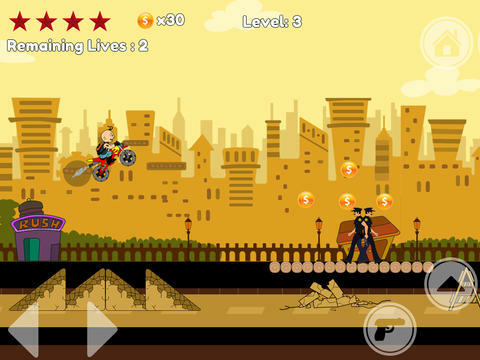 Money Rider races against time, difficult terrains and cops to grab as many coins and money bags as possible. With each level the race becomes more difficult as well as more rewarding! You get unlimited bullets to shoot, unlimited fuel to run the bike, unlimited energy to jump your bike in air and total 5 lives per level to cross it!